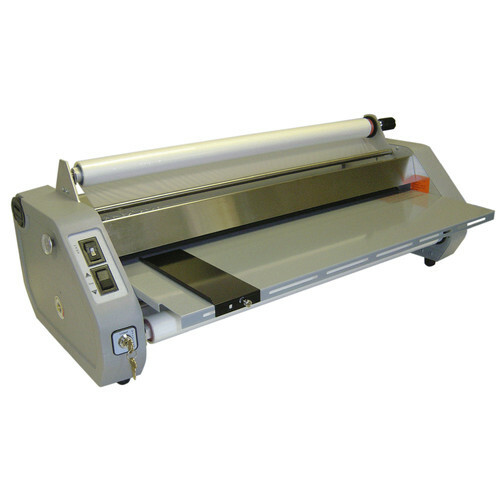 The Dry-Lam SL27 School-Lam 27" Roller Laminator System is a perfect choice for schools and offices. The machine handles film up to 3 mil thick and 27" wide giving you the flexibility to use it for a wide variety of projects. With this machine, you can protect your work from water, dirt, handling, wrinkling and tearing. With only two switches to operate, this machine can be handled by almost anyone. It features an adjustable temperature and safety shield for additional protection. The key switch assures you that the machine can only be used when unlocked. Box Dimensions (LxWxH) 40.0 x 37.0 x 28.0"